Last weekend was one of my favourite events of the year, CHFA West, an industry trade show hosted by the Canadian Health Food Association. I’ve attended almost every year since I started this blog (which was officially 7 years ago this month! 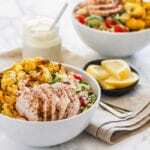 ), and it’s such a fun opportunity to check out up and coming trends on the health food scene. While recent years have been very heavy on the veggie chip side of things, I was really excited to see a bunch of different products this time around. 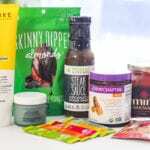 Don’t get me wrong – I love a good kale chip just as much as the next Vancouverite and there were plenty to be had, but this year there were a lot of really innovative products making their debut that I’m pumped to see arriving on store shelves soon. Here’s a peek at the top trends that stuck out, plus a few notable mentions. If the number of fermented beverages and vegetables at the show were any indication, 2017 should be the year of the happy gut! Last summer I posted my recipe for DIY kimchi and a couple of years ago, a tutorial for making kombucha. In addition to brands like Bucha Brew (made in Vancouver!) and Nineteen02 Kombucha (from Delta, BC) offering small-batch organic kombucha, there are many more jumping on the probiotic bandwagon. 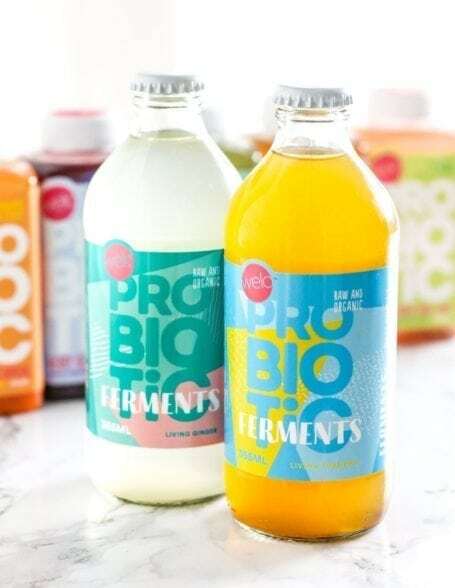 Welo is a new Toronto-based company that has 3 probiotic-rich products: low-sugar cold pressed juices, ferments, and bars. 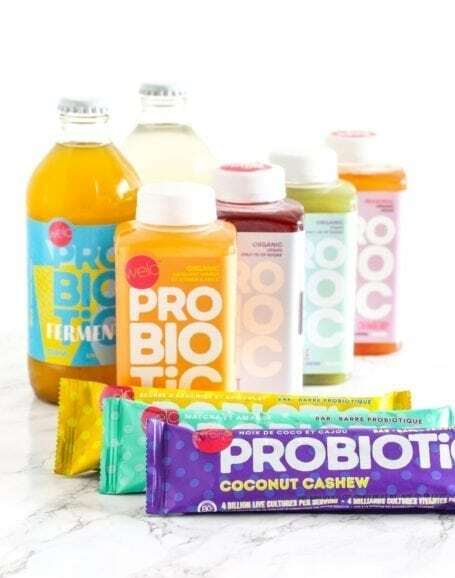 You won’t find any added preservatives or funky ingredients in any of these, and each organic cold pressed juice contains 2 billion vegan-friendly probiotics. 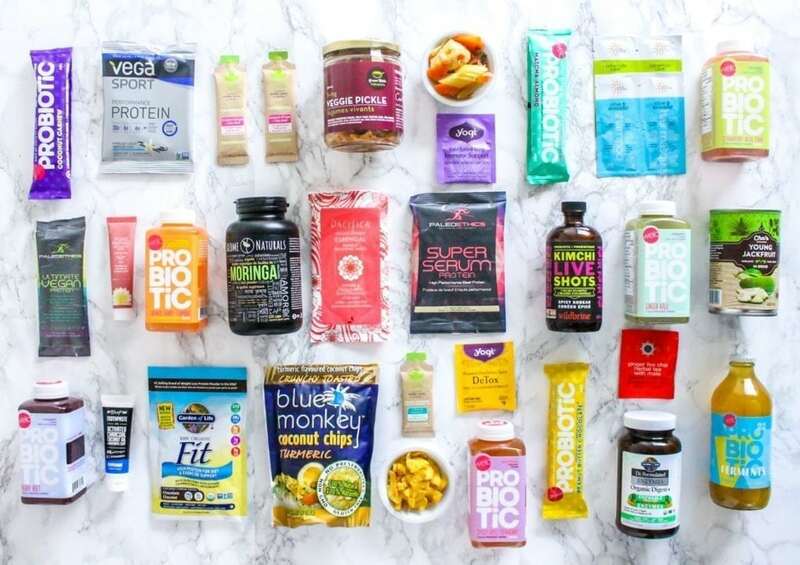 They’re just getting started, but I love so many things about Welo, including their commitment to giving back, squeaky clean ingredient lists, and emphasis on keeping sugar content low. (Even their snack bars only have about 3g each.) 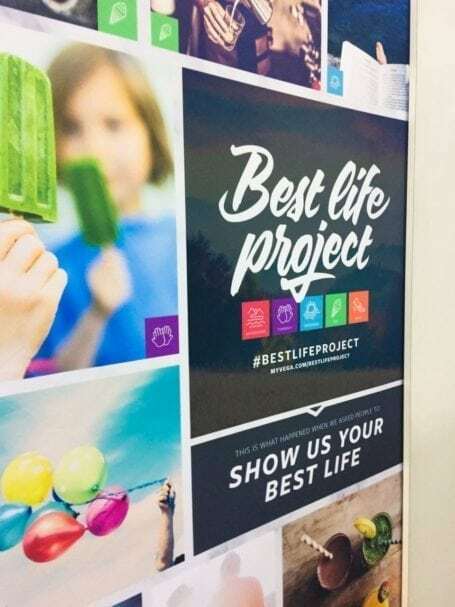 As a marketer I’m also a sucker for fun branding, and theirs definitely caught my eye! The assortment of kimchi, sauerkraut, pickled vegetables and gut shots is also growing. 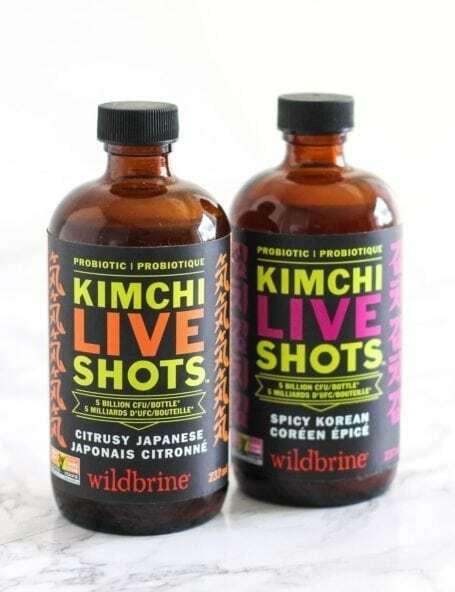 One of my fave kimchis is made by Wildbrine, and at the show I sampled two new kraut flavours, probiotic-rich Kimchi Live Shots, and double-fermented probiotic Sriracha sauces in Spicy Kimchi and Smoky Jalapeño. I’m dying to try their Brussel Kraut but haven’t been able to find it in Vancouver yet, so if anyone knows its whereabouts, let me know! Farmhouse Culture is another brand I’d consider to be leading the way when it comes to fermented goodness, and I’ve been taking their gut shots every morning for a few months now. (The Ginger Beet one is fabulous!) They’ve just launched a new product, Kraut Krisps, in 5 different flavours. Aside from the White Cheddar variety, these chips are gluten-free, dairy-free, vegan, non-GMO, and organic. 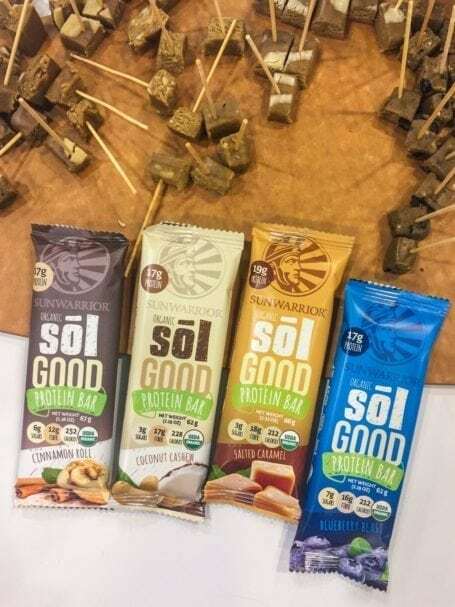 They’re made with exactly what you think – a base of sauerkraut, brown rice flour, and additional probiotic cultures. One of the new-to-me brands in the fermented category was Green Table Foods, based in Guelph, ON. They began with a small range of sauerkrauts, but recently have expanded their offering with living (as in, the probiotics are alive!) veggie pickle, carrots and beets. 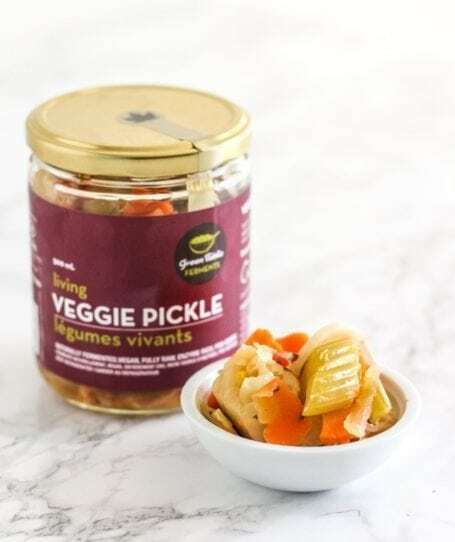 I got a jar of their living veggie pickle and while it tasted a little more salty than the other brands I’ve sampled, it’s been a great condiment for my savoury breakfasts over the past week. 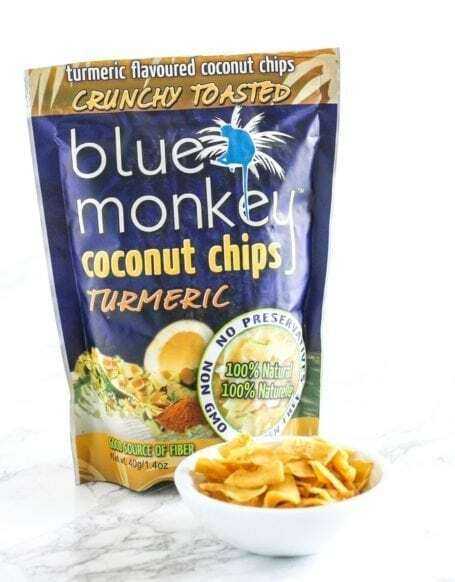 Blue Monkey, whom you may know as one of the leading brands in coconut water and coconut chips, debuted their turmeric coconut chips which I found absolutely delicious, and since the compounds that give turmeric its anti-inflammatory superpowers are fat soluble, it makes sense to pair it with a higher-fat ingredient like coconut for greater absorption. Expect to see a lot more coming from Blue Monkey soon, including watermelon water and a few other goodies! I’m not just talking about the white ones, creminis, or the shiitakes in your stir fry last night. Mushrooms have been used for years by many cultures and depending on the variety, have different nutritional and functional benefits. Most commonly, they’re a source of B vitamins, protein, selenium, copper and iron. But it’s when we start talking about medicinal mushrooms that things get much more interesting! 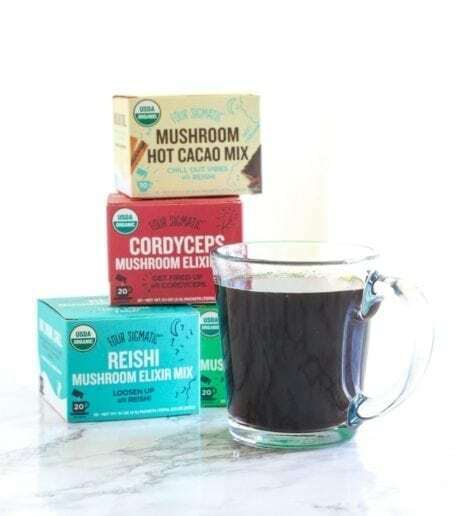 You may recall me talking about Four Sigmatic’s mushroom elixirs last week, and this is by far one of my favourite ways to reap the benefits of these adaptogenic plants. (These shrooms won’t make you hallucinate, I promise!) The great thing is that depending on your needs, there’s a mushroom that can help with it. 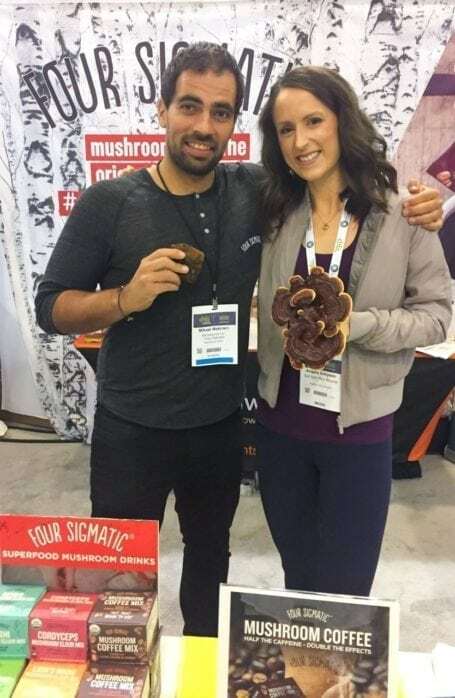 For example, varieties like reishi work by calming the body and promoting higher-quality sleep, chaga helps to boost immunity, lion’s mane can help with mental alertness and focus, and cordyceps naturally energizes the body without being overly stimulating like caffeine. For those of you in the US, you can buy elixirs directly from Four Sigmatic’s website or from iHerb. For those of you in Canada, I highly recommend ordering via Raw Elements in order to avoid nasty customs fees! Again, the code ESR10 will get you 10% off. 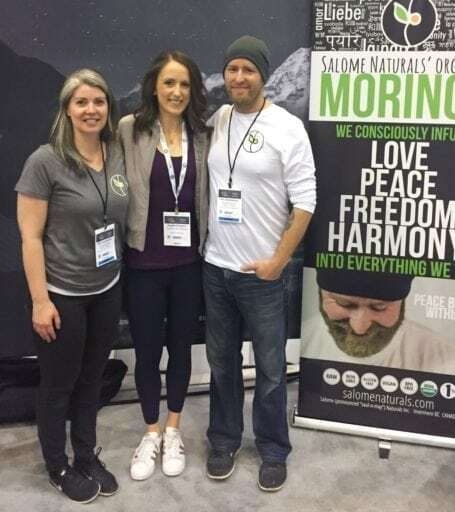 Salome Naturals (which I personally use and love) offers moringa in powdered and capsule form, making it easy to reap the benefits of this amazing plant either in your smoothie or on its own. Nature’s Gate debuted a new volumizing shampoo + conditioner combo infused with awapuhi (bitter ginger) and holy basil (also known as tulsi). Holy basil is also a common at-home acne remedy, so this one could double as a face wash! If you’ve ever purchased a detox tea, I’m willing to bet dandelion might have been one of the ingredients. This plant is known for its ability to support the liver, a vital organ for detoxification. I noticed dandelion appearing as an ingredient in a number of products at the show, most of which were beverages. Yogi Tea recently came out with a new Roasted Dandelion Blend Detox tea, and Dandy Blend focuses on dandelion as the core ingredient. Guys, this one blew me away! If you’re trying to kick a coffee habit, you’ve got to listen up. This stuff tastes a lot like coffee, minus the acidity, caffeine and bitterness. 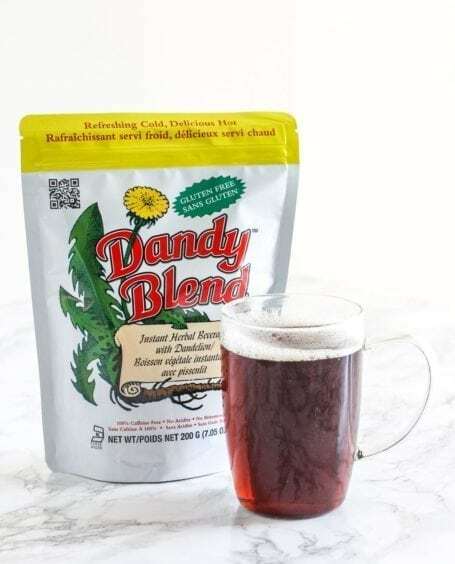 Dandy Blend is a herbal drink made of dandelion, roasted chicory (which promotes healthy digestion), roasted beet root (a known blood-builder and detoxifier), barley and rye. At first I thought this meant the product couldn’t possibly be gluten-free, but apparently during the roasting process the gluten proteins are left in the grounds, leaving Dandy Blend free of them. 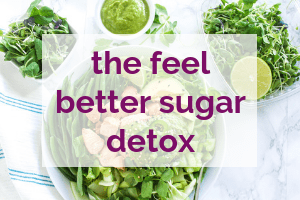 It dissolves in hot water instantly and although no sugar is added, it’s got a very mild sweetness thanks to the minimal amounts of natural sugar occurring in chicory and dandelion. Cool, right? If you’d like to try it out and live in Canada, you can use code ESR10 for 10% off your order from Raw Elements. 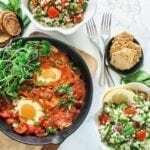 US friends can get your fix from iHerb. Activated charcoal is becoming more well-known for its ability to help rid the body of toxins and is often used in emergency situations such as drug overdoses. Toxins bind to its surface, then get washed out when we drink lots of water. 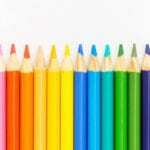 You may have seen activated charcoal popping up in some juiceries and health foods stores, but one thing you might not know about it is that it also helps to whiten teeth. Similar to toxins, bits of material that would otherwise stain your teeth bind to the activated charcoal and swishing with water removes them from the mouth. 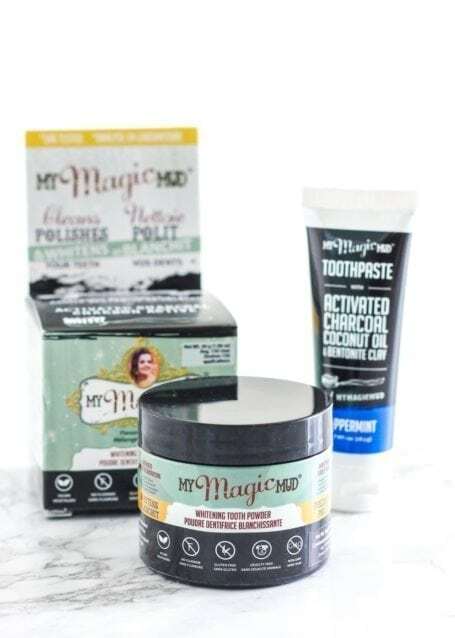 Brands like My Magic Mud have capitalized on this benefit and have come out with an activated charcoal product in powder and paste form. 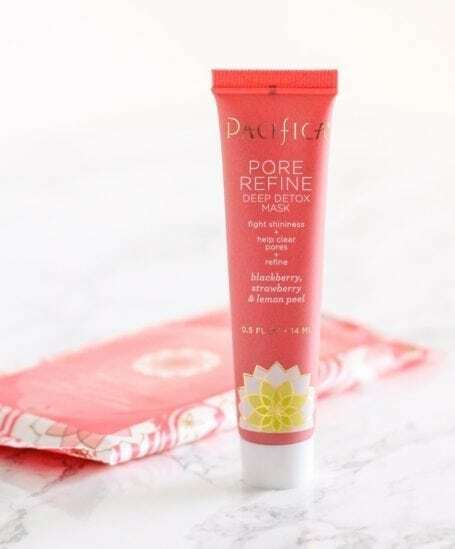 It’s definitely not one you want to use in your freshly-cleaned white bathroom sink, but if you’re looking to whiten your teeth and want a natural alternative to traditional treatments, you might want to give this a try. I’m in the early stages of testing and it’s too early to tell if it’s made a difference to my teeth, but I’ve got high hopes for this one. Sarabecca – Gorgeous all-natural perfumes made in small batches with essential oils and fragrance essences, without any synthetics, animal products or animal testing. Floral Citrus is my fave! Do you need them if you’re already taking probiotics? Maybe. It’s important to realize that they’re two different things. 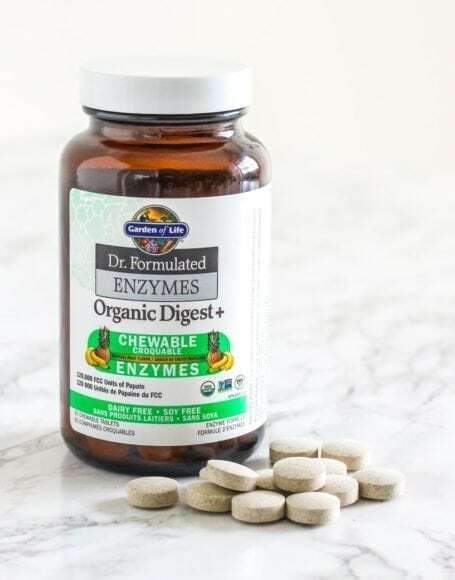 Digestive enzymes are naturally produced in our stomachs during digestion, but depending on your body and state of health, supplementing with more can help the digestive process happen without the gas and bloating that some people experience. 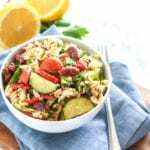 Different enzymes target different macronutrients – carbs, fat and protein – so if you do plan to supplement, it’s a good idea to use one that contains a variety. You can order these from iHerb here. 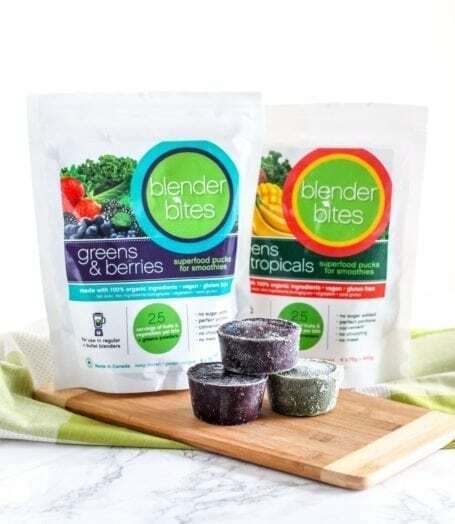 Meet the new convenience food: In a nutshell, Blender Bites are pucks of 100% organic berries and greens that turn your smoothie making process into an even faster one. Now you really have no excuses! Even better, it’s not just your average spinach in these little nuggets of nutrition. You’ll find Canadian grown kale, spinach, broccoli, wheatgrass, chlorella and spirulina on the ingredients label. All you need to do is add your liquid of choice and protein powder if you like – no chopping, no mess. As a new brand, these are currently only available in Vancouver – most recently in Whole Foods. I’ve got high hopes for their expansion though, and am currently loving the Greens + Berries variety. Canadian friends can use ESR10 to buy these from Raw Elements, and US friends can order them straight from Sun Warrior or from iHerb. 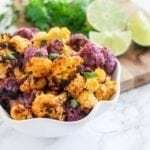 I mentioned SISU’s Full-Spectrum Curcumin in last year’s trends, but with all the hype around turmeric I figured it was worth highlighting again. To get rid of any confusion, curcumin is a chemical compound found in turmeric, and it’s what makes turmeric bright yellow. 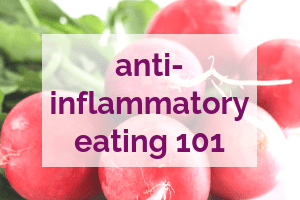 It’s also the active component that has been studied for its ability to reduce inflammation in the body – especially in the joints. Unfortunately for us, our bodies don’t make very good use of curcumin. This is why it’s often advised that when cooking with turmeric, you combine it with a fat source. 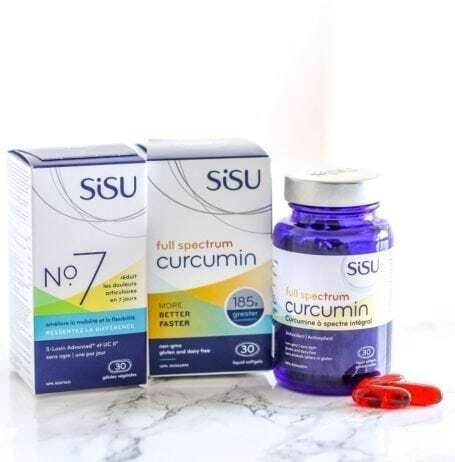 SISU has developed a process that makes their curcumin water-soluble, and according to the company, 185x more bioavailable than standard curcumin extract. If joint inflammation is something you’re concerned about (whether that’s from exercise or a more long-term conditions like arthritis), SISU No. 7 Joint Complex might also be of interest. 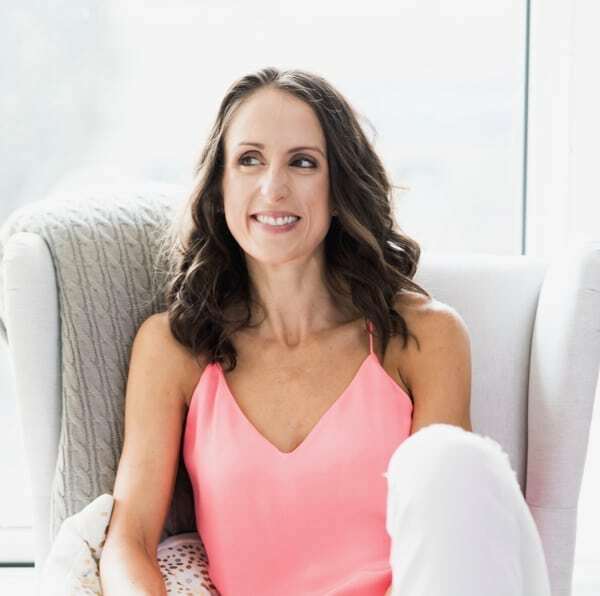 With ingredients including boswellia, collagen, vitamin C, turmeric, ginger and cayenne, SISU calls it an alternative to glucosamine when it comes to managing joint pain without over-the-counter anti-inflammatories and pain killers. 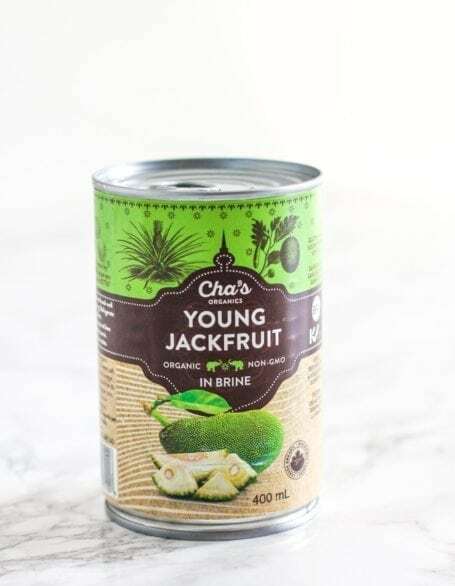 If this is the first you’ve heard of young jackfruit, it’s a high-fibre, low-calorie plant that has a meat-like texture and therefore works as a great substitute in recipes. Similar to tofu, it takes on the flavour of whatever sauce you smother it in. 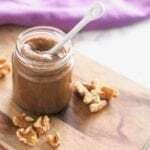 The fully-ripened version is higher in sugar and tastes sweet, but most brands that offer it sell the young kind which is harvested before the sugars have a chance to develop. I’ve yet to cook with mine, but you can expect a full review and recipe soon. So tell me… do any of these trends or products get you really excited? Have you noticed any lately that I missed? Disclaimer: This post contains affiliate links which means that if you click on them and make a purchase, I receive a small commission. 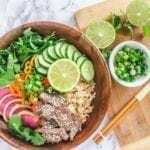 Thank you so much for supporting Eat Spin Run Repeat and the brands I’ve shared in this post. Soooo cool ah. So many things to try! Oh man, I’m going to need to pencil this in for next year!